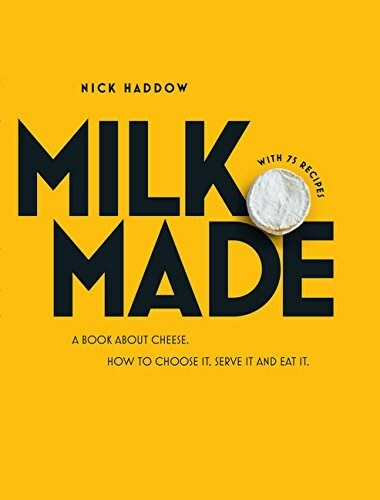 Nick Haddow knows a lot about cheese, which probably made writing this book quite difficult. Where to start? And, more important, where to stop? Here is an elegant and comprehensive tour of the art of cheese-making and eating – from selecting cultures, through the practises of production that cross continents to the best recipes to enjoy the final product. Beautifully photographed and styled, Milk. Made. also includes profiles and interviews with some of the most inspiring and internationally recognized cheese connoisseurs from around the world. From the Uplands Cheese Company in Wisconsin to Carlos Petrini, founder of Slow Food in Italy; from Connecticut nun Mother Noella Marcellino, who is renowned internationally for her raw milk cheese, to the maturation cellars at Fort Des Rousse on the French/Swiss border, there is something for everyone. This the ultimate guide to cheese-making and the best cheeses of the world.